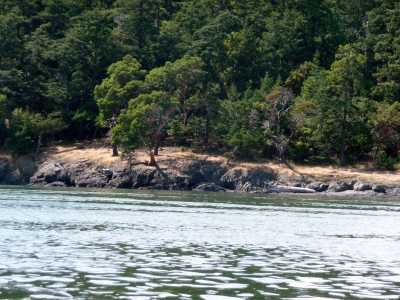 Information: Hope Island State Park is a 106-acre marine camping park in northern Skagit Bay, just to the east of Deception Pass. 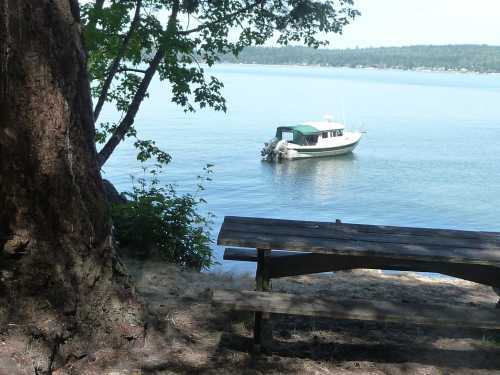 Access: This small, quiet island is reachable only by boat. 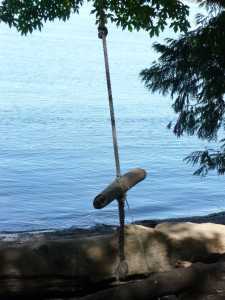 There are five buoys for moorage. Comments: The park is covered with old-growth forests and saltwater marshes. There is also a one-and-a-half miles of beach. The park provides four unsheltered picnic tables for day-use visitors and two miles of hiking trails. No fires are permitted. ----Hope Island did not leave a good impression on us. Sadly, someone had dumped a pile of fine burt dead dungeness crabs into one of the fire pits and the smell of rotting flesh filled the island. Watermelon rinds were scattered around amongst the discarded paper scraps of the next picnic table. The trails were overgrown and unused. ----The island, perhaps is too close to the docks at Cornet Bay. Users have not respected the natural beauty of the park. 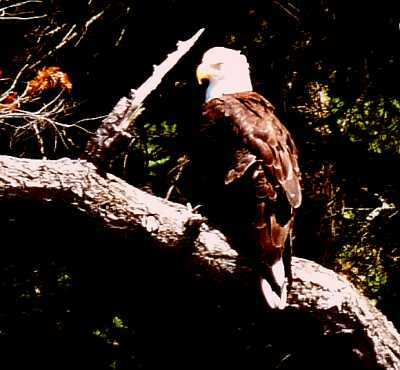 Also, perhaps the rangers have been too occupied with the heavily-used Deception Pass State Park located nearby, to have time to patrol and maintain the picnic sites and trails.